Home / Health Concerns / Does Juicing Work for Detox–or Is It Just a Fad? Does Juicing Work for Detox–or Is It Just a Fad? 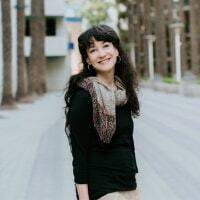 Today, please welcome Erin from Eat Real Stay Sane who is sharing about juice detox with us. Erin is a juicing enthusiast because of how it has helped her in many ways, and because of the research that she has put into the topic. When Erin asked if I would be open to her sharing a post on juice detox, I was hesitant. Here's why I was–as well as why my thinking has changed. I personally have shied away from juice cleanses or juicing for detox since I have always been concerned about blood sugar levels and adrenal issues and any kind of juicing or fasting. However, I have been rethinking all of this in recent days. First of all, in this post on the benefits of intermittent fasting, I learned that fasting can have real health benefits that I never would have thought possible. Secondly, I always thought about juice cleanses or juice detoxes as being something that focused on a lot of fruit, or at least enough to make the juice taste good (cause veggie juices don't taste that great). 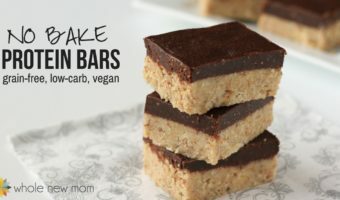 As such, I felt that the glycemic load would be way too much for almost anyone. However, I am now rethinking things. First of all, juicing can be totally focused on veggies and not on fruits. And as long as you aren't juicing tons of carrots, you can keep the carbs way down. I personally would add a bit of stevia to the juice to make it more palatable without adding additional sugar. Additionally, while Erin is her talking about doing a juice cleanse for detox for about a week, I think that this concept is pretty flexible and that the benefits of juicing don't need to be something that one is “all or nothing” about. I'll share more about that at then end of the post, but let's just say that I personally have been experimenting with doing some basic forms of “juicing”, and I too have been having some amazing results. I usually reply with, “YES!! !” Really the only downside to juicing is not being able to eat and chew the food you want – which is a big deal for some people. But amazing results usually come with some sort of sacrifice right? I can go on for days about diet – like how 60% of American calories come from ultra-processed foods! But first, why do we even need to detox in the first place? Toxins in our food, personal care products, cleaners, and beauty products are known endocrine disruptors. That means that the hormones our bodies produce are not able to perform their function and get our cells to work together. That can lead to obesity, autoimmune disorders, diabetes, developmental delays, birth defects, stunted growth, infertility, and cancer to name a few. No biggie, right? Some argue that our bodies are already great at detoxing and there’s no need for stuff like a juice cleanse. If that were true, then why did that CDC report come back full of toxic chemicals? Even though certain toxins are easily excreted from our bodies, those same toxins come back over and over again and cause damage. I think about how I used to use Clorox wipes on my counter every single day for an example. 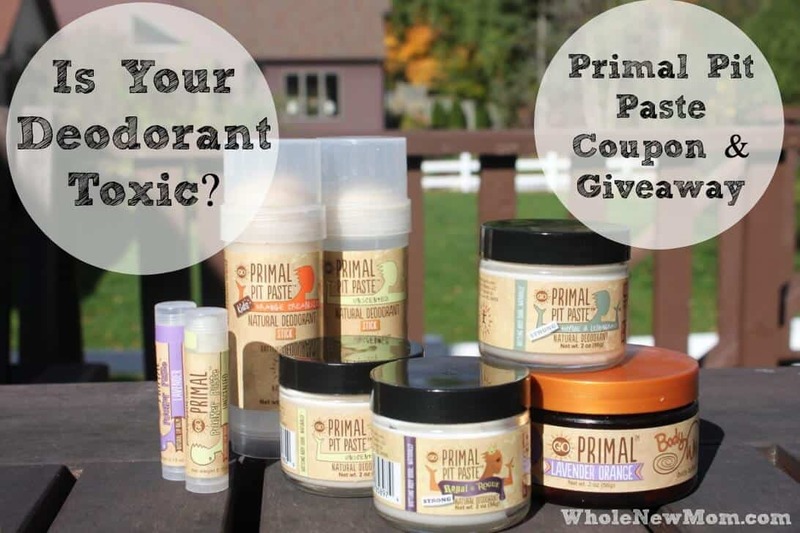 Our bodies naturally form free radicals, but toxins can exacerbate free radical production. Free radicals are unpaired electrons that go around and cause damage to our bodies by breaking molecular bonds. So does juicing work you ask? Well, what better way to provide your body with an abundance of antioxidants than through a juice cleanse? Toxins are in the air we breathe, the water we drink, the food we eat, and many of the products we use in our everyday lives. Unfortunately we can’t get away from them. Adrienne thankfully gives lots of great advice of how to avoid toxins! Plus, most of us just don’t have our bodies firing on all cylinders! Now, you’ll certainly find a ton of information and opinions out there answering the question, “Does juicing work?” Most will say a juice cleanse detox is unhealthy, unnatural, it will make your hair will fall out, and will cause all sorts of issues. I partially agree – there’s certainly a right way and a wrong way to do it. And the wrong way can make you sicker. There’s more to juicing than just drinking juice. But you also have to remember, you’re not going to only be drinking juice for the rest of your life – just a week or so. I know you can do it! If you are taking certain medications or have a certain diagnosis then you will definitely need to talk to your doctor before doing a juice cleanse. Hopefully you have a doctor who will listen to you and work with you. I’ve studied juice cleanses extensively, including learning under my naturopath. I’ve written a book about juice cleanses and I’ve frequently done them and I feel amazing afterwards. My skin is clearer, my injured knee no longer hurts, my brain is clearer, and I have more energy to chase my kids. 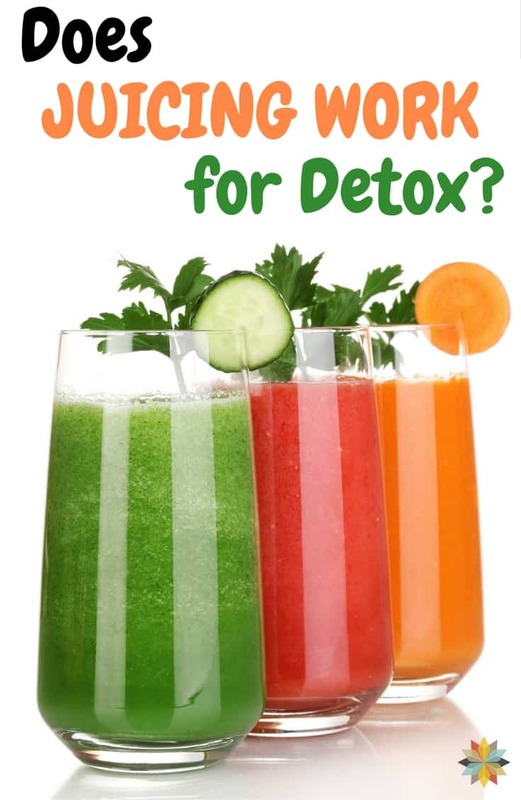 Why should I do a juice detox? Before we answer that question, let’s have a quick nutrition talk. Your diet consists of food (obviously) which is made up of nutrients. Nutrients are separated into macronutrients and micronutrients. Macronutrients are fat, protein, carbohydrates. These are necessary for energy and structure like building muscles. Micronutrients are pretty much everything else and make the rest of your body function. 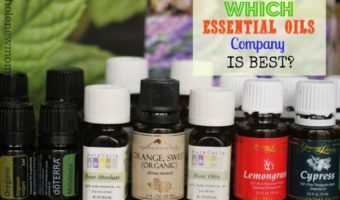 Goodies like vitamins, minerals, phytochemicals, antioxidants, etc. Micronutrients are mostly found in fruits and vegetables. Consuming fruits and veggies has been proven to prevent a whole slew of health issues and chronic diseases. I don’t think it’s gotten any better. No wonder we’re all getting sick! Another problem is that most of us have crappy gut health because of things like SAD (standard American diet), antibiotics, and toxin build up. That makes it so our gut can’t break down the food into the nutrients our bodies need. The meager nutrients your body does manage to get goes toward keeping everything running and not so much towards healing. There’s a reason why Hippocrates said “all disease begins in the gut.” Without our gut getting proper nutrients out of our food, our body can’t function, detox, or heal properly. Your gut works hard ALL DAY EVERY DAY. In fact, about 5-15% of your daily calories go towards keeping your intestines sorting micronutrients from garbage. That’s hard work, made worse because most of us have atrocious gut health. It’s time to make healing our nutrient-sorter a priority – and that begins by giving it a rest and going on a juice cleanse. On a juice cleanse, there’s minimal work your gut will have to do and no bad toxins are going to interfere with your digestion. These micronutrients are giving your body the stuff it needs to first maintain your body, and then get out there and unclog your systems and get stuff working right again. It’s like giving Bob the Builder an energy drink with a toolbox. Our bodies are machines that are ALWAYS working towards optimum health. It uses nutrients to enhance the immune system, boost the liver and kidney detoxing functions, and get the mechanics for detoxing and healing fired up and working. A juice cleanse means you’re drinking insane amounts of vegetable and fruit juices in an effort to flood your system with massive amounts of beneficial micronutrients. In real life you’d have to eat like 46 cups of spinach to get enough micronutrients to cause a healing effect and be sustainable. Ain’t nobody able to eat that much green stuff! That’s why you want to do a juice cleanse detox! Throw it all in a juicer and drink it all in one fell swoop. Does juicing work to detox our bodies? Now as far as detoxing, the main way a juice cleanse works is by supporting your natural detox mechanisms. It’s not really about the juice itself. Now that your body’s hopped up on healing nutrients, all of your internal mechanisms start working better. And now you can flush out some toxins you haven’t been able to before. Your body isn’t so hung up on trying to just keep it running! 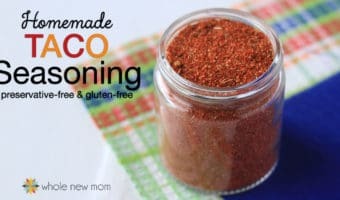 Some veggies (like cilantro and parsley) are known as chelators, meaning they actually help with heavy metal toxicity from things like lead and mercury and remove them from your body. Also, we know that fruits and veggies are proven to reduce inflammation in our bodies and neutralize free radicals (both issues can be caused by toxins). In other words, you’re less likely to experience chronic disease and pain – especially cancer. Here are some examples of the benefits of different fruits and vegetables for health. Beets are proven to lower blood pressure. They are nutrient powerhouses, including betacyanin that may help the liver to produce more detoxifying enzymes. Cruciferous vegetables lower cancer risk. Blueberry and mulberry juice prevent obesity development, insulin resistance, and decrease cholesterol levels. Garlic has been found to protect against heavy metals. Onions contain a source of sulfur-containing nutrients that help our livers to produce detoxifying enzymes. Pineapple contains bromelain, a nutrient that may help to promote digestion and may also help cleanse the colon. Artichokes contain a nutrient called silymarin which is an antioxidant that helps the liver process toxins. Artichokes also contain another nutrient, cynarin, which is an acid that supports liver’s ability to break down fatty foods. Apples contain pectin that helps our bodies remove food additives and metals from the system. Apples also contain quercetin that may help to promote production of detoxifying enzymes by the liver. Parsley contains nutrients that can help stimulate production of bile that is key for the detoxification process. Broccoli and cabbage are members of the cruciferous vegetable family that contain sulfur-containing nutrients that can help the liver to produce more detoxifying enzymes. Citrus fruits like lemons, limes and oranges contain vitamin C. This may help to clear the digestive tract and also promote cleansing of the liver too. And that’s just a teeny sampling of how produce helps us heal! The point is, ALL produce contain nutrients, minerals, enzymes, bioflavonoids, and other phytonutrients that are meant to heal our bodies. And it’s delivered in the most easily digestible form possible – liquid. 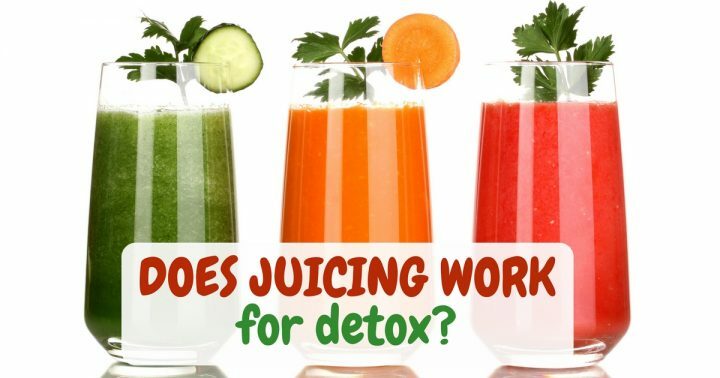 So, does juicing work for detox? People get too hung up on the macronutrients you’re missing on a juice cleanse. You aren’t going to die without your macronutrients for a week. And one final thing: I read this testimonial on Reboot With Joe. It almost sounds like magic how this guy went from on death’s door to feeling like a teenager. Read it! You’ll feel like a juice cleanse is the missing part of your healing process. And that isn’t the only testimonial I’ve read about or heard straight from the source about the truly miraculous healing effects of juicing. Hey there….this is Adrienne back with some of my thoughts on this whole topic in addition to my personal experience. I might write more later on this, but here are my current thoughts. Plus I have an offer for you. First of all, if you are able, please buy organic produce. Or at least focus on doing that for those listed as being in the “Dirty Dozen” on EWG's list. Those are the worst pesticide offenders. Next—what kind of machine should you use? I've gone a bunch of research on what type of juicer to buy and THIS is the one that I would go with. However, I have never bought a juicer. I know that juicing is technically just.the.juice. You're not supposed to consume the fiber when you juice, but I guess that makes me a juicer wannabe. Kind of Not REAL Juicing But….. I think that the idea of using and cleaning up a standard juicer would just keep me from doing this at all. And I have a blogging friend who just posted about how much she LOVES juicing, but doesn't do it often. I suspect this is the reason why. Just Don't Have Time For Juicing?? Another thought, however, is to use powdered produce that you would just rehydrate using water. Call this Lazy Man's (or woman's) juicing. About a month ago, I heard about a company that had a supplement that was being tested for its ability to remove glyphosate from the gut. I was super interested in this and actually it has now been proven to do so in clinical trials, PLUS it has also been proven to reduce C Reactive Protein by almost 75%. That's really amazing. Anyhow, the company has super high quality standards for purity and nutrition, and I can tell you that I have my energy back. I am taking the supplement for gut health (Biome Medic) and using the Bio Fruit and the Green Spectrum with Lemon and also have really enjoyed adding in the Power Shake and a protein shake now and then, as well as their Apothecherry for sleep. I truly think I'm removing toxins and flooding my body with goodness. For me, so many of Purium's products are like super fast, lazy person juicing. If you are getting high quality powders, I don't see any difference between this and buying a bunch of produce and juicing. Anyhow, if you are a likely lazy juicer like me, and you would like to try these products, just use code wholenewmom to save $50 off your purchase of $75 or more. You'll also get 15% off of any future order and 25% if you order within 30 days, making their products quite affordable. Plus your body will thank you! While Erin talked about doing a juice cleanse for detox for about a week, I say do what you think is best. First of all, just adding juicing to your diet for detox is a great thing to do, even if you aren't avoiding all other foods. You could just juice once a week or once a day and add that to your routine. Or you could do a juice detox once a day as a substitute for a meal Or do a juice cleanse for detox for one day or longer. Really, it's up to you and regardless, you should see some kind of benefit. I can tell you that I for sure am! Please, however, consult with your physician if you are concerned about juicing for any period of time. There are some experts who advocate juicing without concerns for most people, while others caution that going without protein for even more than a few days is of concern. I recommend you do your own research–and I would love to hear what you think! Have you ever done a juice cleanse for detox? What was your experience? Would you do a juice detox after reading this? 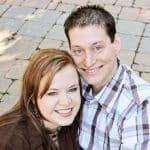 eliminating toxins, and overcoming chronic illness. Gluten. No Big Deal or Silent Killer? 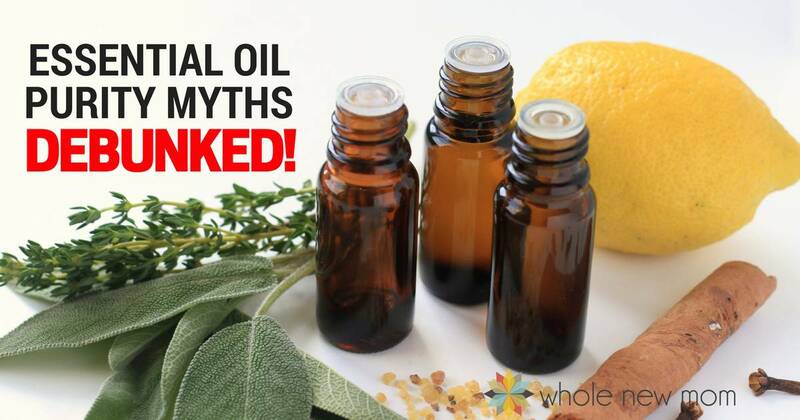 9 Essential Oil Myths about Purity – DEBUNKED! Hi Adrienne and Erin, thank you so much for this informative post! Up until now, the longest I have juice-fasted has been one day (impressive, I know lol). But I have been trying to incorporate fresh juice into my daily eating habits, particularly in the morning before (or instead of) breakfast. I mostly make a combination of carrots – celery – apple with a touch of lemon and ginger and then add a spoonful of chlorella powder. Now I am curious, in your experience, is there some connection to clearer skin with celery juice in particular? Or any other notable benefits of celery? I didn’t see it mentioned in your list above, but I just LOVE to juice it! If you look up celery and skin benefits you might see some interesting things! Hi Adrienne & Erin, I thoroughly enjoyed this post. 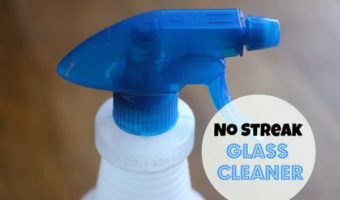 I have tried juicing from time to time over the years, but regularly hit a snag, and would appreciate your thoughts. I have trouble consuming raw produce with itchy, swelling, allergic-type reactions, especially with fruit. Have you come across this struggle with the people you help? Suggestions? Hi and thanks! Is that a problem with all raw produce or just some? Could it be oral allergy syndrome? No, I can eat some raw vegetables, mostly salad greens, onions, some peppers. The reaction is more intense if the food is very fresh. If it’s been out in the open on a buffet etc., I have less trouble. I’ve heard of Oral Allergy Syndrome, but don’t know much about it. Which foods do you experience it with? All fresh fruit, especially melons. (Oranges bother me, but lemons and limes do not.) Raw vegetables such as carrots, broccoli, zucchini, tomatoes, beans, peas, beets, some “spring” greens. I have no problem with iceberg, greenleaf, redleaf, or romaine lettuce. 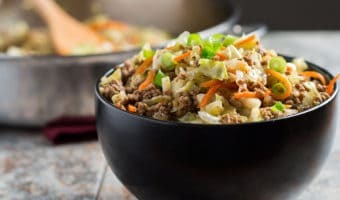 I can add some sliced carrots if they have been cut and sitting in the open air such as on a salad bar, but just a few shreds. I also once had a major reaction to a health-food bar that had a variety of seeds and nuts. The reaction was bad enough to go to the ER as my throat was swelling. So I’m very careful about eating combinations that I don’t know what all the ingredients are…. Plant foods that I have never tried before, I would only take a tiny bite at first. In other words, I am more likely to have a reaction than not. I can eat pretty much all fruits and vegetables that have been cooked with the exception of corn and apples. 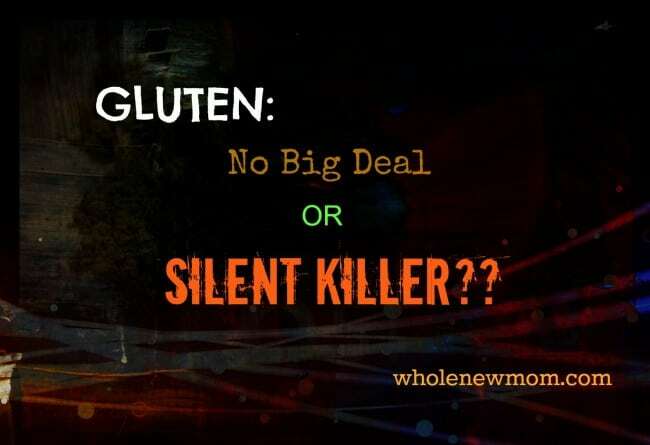 Sometimes they will give me a GI upset…different reaction than the itchy, swollen mouth when consumed raw. I even have to be careful about taking supplements that boast RAW ingredients, which of course is very popular these days. Thank you for the interest in my situation! Sorry again for not responding sooner. I just wish I were able to help more! Have you had any relief since we connected? I responded to your question yesterday, but must not have hit “post!” Rats! In brief, I can eat raw iceberg, greenleaf, redleaf, and romaine lettuces, lemon and lime, as well as raw onion and a little bit of pepper and carrot. Sometimes I can eat a bite or so of raw fruits & vegetables if they have been out in the air, (oxidizing?) for a while such as on a sale bar or buffet. I can eat all cooked fruits and vegetables except for corn and apple which will sometimes give me a GI upset, which is different from the itchy, swelling, mouth reaction I have when raw. So basically all other raw fruits and vegetables will cause reaction with melons, cantaloupes, cucumbers, being some of the worst offenders. I would NEVER eat them. Hi there and sorry for not responding sooner – things got really crazy here. Has your situation changed at all? It sounds to me that you need to try to calm your body down overall. I hope you are getting relief! I know how hard things like this can be. Questions: Should you pre-cook the vegetables before juicing? If not/so, all of them or just some? Which ones? 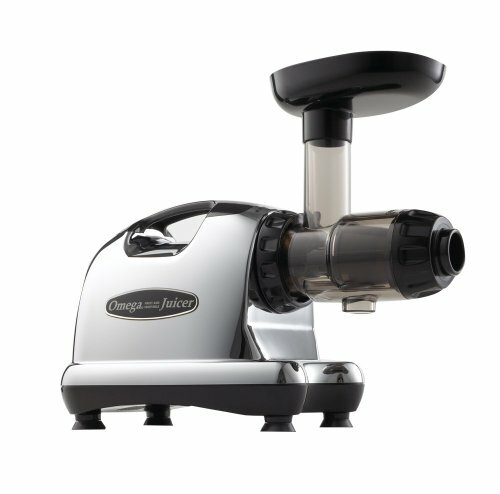 I used to have a juicer, however, since it wasn’t the top of the line (think $1,200.!!) it wasted SO MUCH! Plus, I believe that fiber is beneficial and should be consumed, so I was really glad to see the thought about using a Vitamix to completely pulverize the fruit/veggies and drink that. I may try ‘juicing’ again. Hi Carol! No the veggies should be raw. However, there are some people who think that eating steamed veggies is healthier. I would think that juicing them makes them pretty digestible. I will ask Erin to chime in about canned veggies. I hadn’t thought about that! No I would not use cooked or canned produce if it were me because some of the nutrients are destroyed in cooking. Frozen produce however is usually flash freezed near the time of harvesting and for me has many of the nutrients. It’s a great way to juice when your favorite produce isn’t in season. Using a Vitamix is not juicing – it’s blending. Whole food juice is just a fancy way of saying smoothie. You still get fiber in your juices, it’s just soluble fiber. Insoluble fiber is very hard to digest which is defeating the point of doing a juice cleanse. We want the juice to be as easy as possible to digest. If you’re concerned about blood sugar then you can simply use mostly veggies. And you can actually save the pulp in your freezer and use it later so there is no waste! I sure wish, that the topic of using ONLY organic fruits, vegetables, etc. would have been mentioned in this article. It is soooo important not to be taking in herbicides, pesticides, and the many chemicals that are sprayed on these! YES! I will add that – thanks! That’s very true Joan. I left it out though because I want people to just start juicing! If they feel like they HAVE to use organic then they start thinking it’s too expensive and such. I personally recommend that when people are concerned about prices they try and stick to at least buying the dirty dozen organic. Thanks for encouraging folks to juice! I have been juicing for almost 40 years, often every day, sometimes once a week. The chlorophyll we receive from fresh juice is almost exactly the same make-up as human blood–only the nucleus is different–so it is like a transfusion! Dr. Norman Walker taught about juicing for health, and he lived to be 106 years old, with his wife 104. When I had a live-blood-analysis a few years ago, the naturapath was surprised to see that “for my age” I had no free radicals circulating in my blood. When I told him we juice regularly to stay well nourished he responded, it must be working well for you! I have always believed beta-carotene is the best thing I can ingest to boost immunity. Thanks, Rebekah! As you can see, I have been on the fence about things, but I am always willing to learn and rethink things (most things!). I didn’t know that about Dr. Walker. How often did he juice? What kinds? Did he do juice fasting? That’s so great about your blood work! YES I love it Rebekah!! All those antioxidants are eating up your extra free radicals. 🙂 I love hearing about the true believers of juicing and their results.